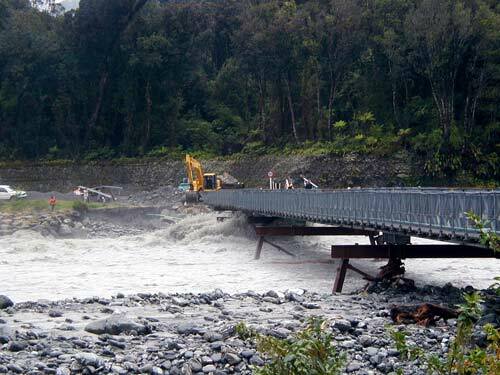 A digger works to shore up the buttressing around a road bridge over the Waiho River on the West Coast in 2002. Some regions of New Zealand receive much greater rainfall than others. The West Coast is particularly rainy, and four of the top 10 New Zealand rivers by water discharge volume are found there.